Cambodia. I stared out the window only to be taken aback. Coming from PJ, the landscape I’m accustomed to is truly different. Concrete skyscrapers and grey structures consume your view in the city. However, during my ride to Battambang, it couldn’t be more different. 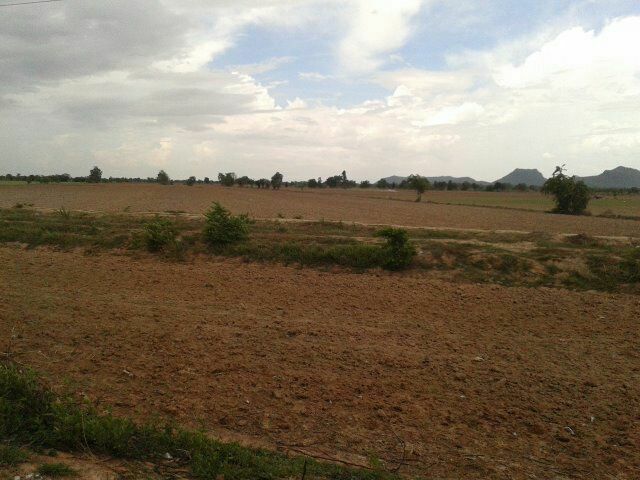 Kilometres of barren fields and dusty air was all I could see. The land was brown and barren because it was the hottest season in year for Cambodia. Also, because grass couldn’t grow much in the sweltering heat, the cows there were thin from a lack of food. The roads were covered in dirt and dust from all the construction work. When huge trucks passed by, the sand would fly up and hover in the air, forming a huge cloud of dirt and pollutants. Upon reaching the house, we were greeted warmly by Terence and Deborah with their little son, Seth and another two STORMers. We had a further introduction to this program and learnt about our itinerary over the next two weeks. I learnt that other than volunteering, we had to do house chores. I was quite nervous when I found out we each had to cook dinner for the group once a week. I wasn’t much of a chef at home if you count frying eggs. This was important to push us out of our comfort zones. Another STORMer confessed that this was the best place to try out new recipes or learn how to cook because no one would be judgemental. The next day, the real experience started. At 7.30, a motorist arrived to send me to the Puk Chmaa School. I had to face another unfamiliar hurdle when I saw the mode of transport, a motorcycle. The most common mode of transport in Cambodia is the motorcycle because it is cheaper than cars. Initially riding on it, was quite scary because I thought I was going to fall off. Later I got used to it and actually started to enjoy riding it more than a car. For me, it was a quiet time to think and observe my surroundings. I arrived at the school. At first, the kids were quite surprised to see a new teacher but after a while, they started to warm up to me. Every day, I would teach them new words and make them revise their alphabets and numbers. 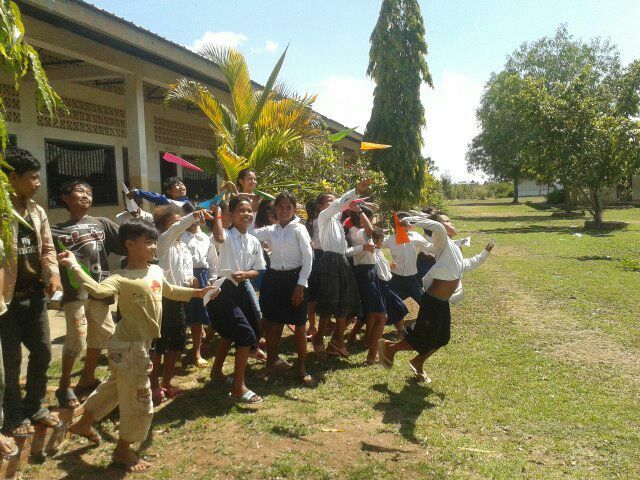 To lighten the mood, I would often teach them new songs or play class games with them. At the end of class, they would each run up to me to offer their high fives and thank me with huge smiles. The best part about teaching these kids is that they are always very grateful and respectful of their teachers. Most importantly, they are always eager to learn and that’s a quality that is sometimes lacking amongst our own school students in Malaysia. In Malaysia, there are tons of schools and educational institutions in Malaysia. Sometimes, students take this for granted. 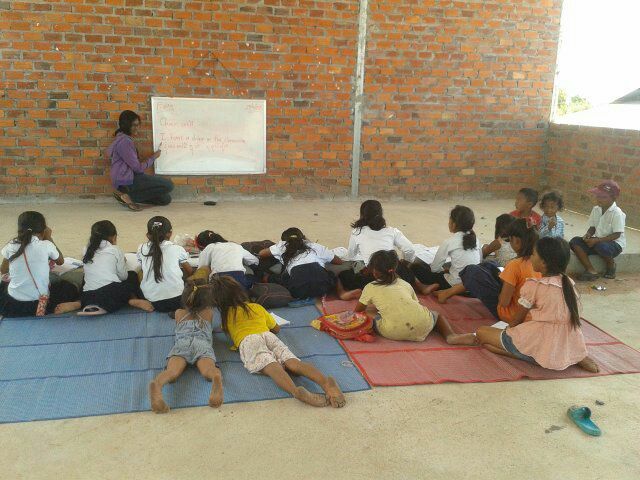 Education isn’t always easy to receive in places like Cambodia, especially if you aren’t in the city. Often times, Cambodian children don’t go to school because it is too far away from their homes.Also, some parents want their children to work and help out instead of going to school. I asked one of the teachers at Puk Chmaa about the age of the children there. I was surprised to find out that some of them who looked to be 8-11-year-olds were actually 13-15-year-olds. The teacher added that lots of kids have slowed growth due to the lack of nutrients from their diet. In Malaysia, many people struggle to make choices of what they want to eat, however there are those with not a single choice to choose from. In the evenings, I go to LOHI school. The history of that school truly shocked me. It was a former brothel that was bought over and turned into a school for different ages. Most students ride to school from far places using their motorbikes or bicycles. In fact, some of them stay over in the schools. They are very driven to learn and want to receive and education. Currently, they are working on the construction of accommodations for school students. On the weekend, the other STORMers and I ran an ‘English For Fun’ program where we organised English activities for two hours at different schools. 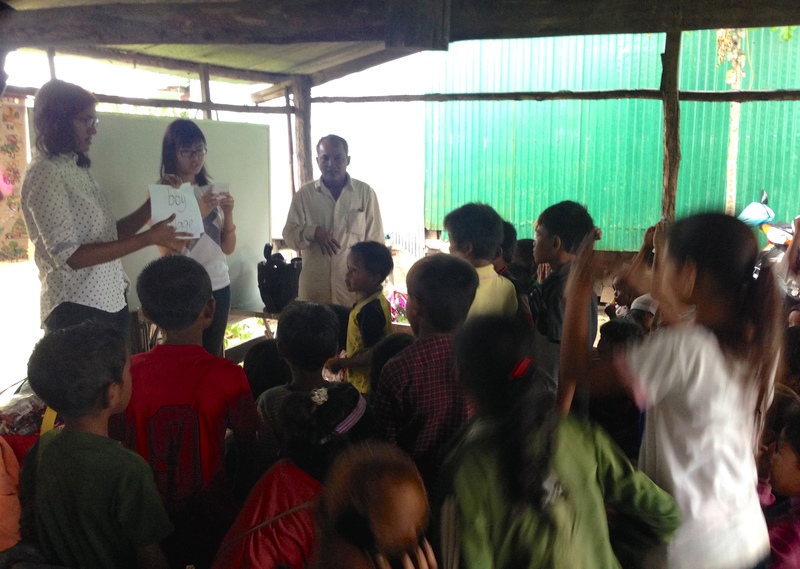 One of the places that really touched me was a school in Puoy Village. The children learnt in a space that had no floors, inadequate tables and chairs. When the rain poured, the whiteboard would get wet and flap up and down. The STORM program offers volunteers a chance to give back to the underprivileged. One can offer one of the most important tools, education. Even if you are there for only two weeks, you can make a difference in their lives by becoming a source of inspiration and even support to them. You will truly understand all the issues that plague the society. Poverty, human trafficking, improper sanitation and hygiene are just a few. There is a part that we can play to defeat these issues. By volunteering, you will be able to understand the whole situation. Overall, it was a one-of-a-kind experience. Each day of teaching etched a different memory in mind. Even though I was new, the people there made me feel welcome. They are simple people who don’t overcomplicate life. I realised that my problems in Malaysia weren’t nearly as tough as theirs. This helped me learn about gratitude. My appreciation for my country has grown. I also have a new found appreciation for my teachers, as I realise the effort they put in to teach us every day. The great thing I love about STORM is the fact that it’s accurately a volunteer program. Lots of volunteer programs actually work more like tourist packages with a tiny volunteer role. However, STORM maximises your contribution and impact by fully immersing you in volunteering activities. Nevertheless, I also got to be a tourist when I visited Angkor Wat for the first time and shopped around Siem Reap. I definitely recommend this program as I guarantee that you will come back a changed person.